This Interview with Saw A--- describes events occurring in Ta Naw Th’Ree Township, Mergui-Tavoy District related to an ongoing issue of large-scale land confiscation. 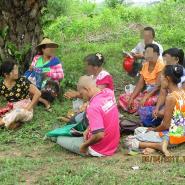 CKB Company confiscated 325 acres of land from 27 villagers in B--- Poe village, Ta Kel area, Ta Naw Th’Ree Township, Mergui-Tavoy District in 2003. 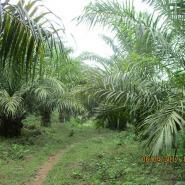 The company workers then planted palm oil trees on the land that they confiscated from the villagers. 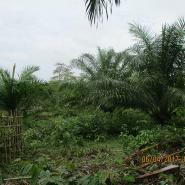 They claimed the confiscated land was unused as the land was overgrown with vegetation. Yet the land that they confiscated contained villagers’ plantations cashew trees, mango trees, betel nut trees and pastoral land for the villagers’ buffalos. The land owners used to have a Burma/Myanmar government land title but the land titles were burned in a fire when the land owners experienced forced relocation. While the land owners have been trying to get new copies of their land titles from the Burma/Myanmar government, they have yet to receive them. The land owners reported the land confiscation case to the Burma/Myanmar government and requested to get their land back, but the government has not taken any action on this case yet. 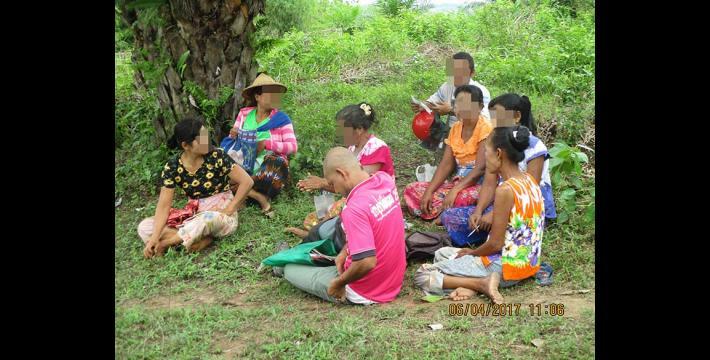 Villagers request the Karen National Union (KNU) and the Burma/Myanmar government to cooperate on the investigation of this case so they will get their land returned to them. Villagers want their land back, because most of them are poor and some of them do not have land to build their house upon. Kyaw is a Karen term which roughly translates as older brother although it does not indicate a direct familial relationship. It is unclear exactly what CKB stands for, and the company is known locally only by these initials. 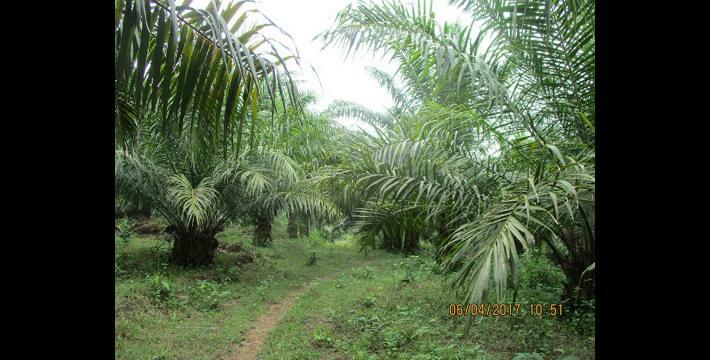 CKB Company states on its website that it has 20,000 acres of palm oil plantation and an additional 3,500 acres for further planting in Mergui-Tavoy District. According to additional research, it is under Green Dragon Myanmar Company. 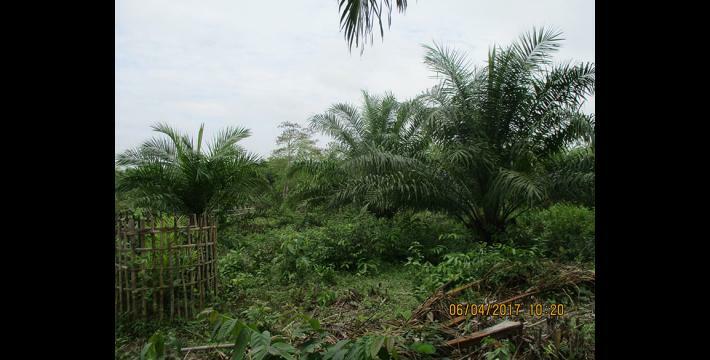 For more information on CKB company see previous KHRG report, see “Mergui-Tavoy Situation Update: Ta Naw Th’Ree Township, 2017”, July 2017. According to The Vacant, Fallow and Virgin Lands Management Law 2012, the Central Committee, formed by the President, has management authority over lands classified as “vacant, fallow, and virgin” for the purpose of economic development of the State. Art. 2(e) Vacant Land, Fallow Land, means the land on which agriculture or livestock breeding business can be carried out and which was tenanted in the past and abandoned for various reasons and without any tenant cultivating on it and the lands which are specifically reserved by the State. As development has increased in southeast Burma/Myanmar since the signing of the government-KNU ceasefire in January 2012, KHRG has received an increasing number of complaints in which villagers' lands were classified as "uncultivated land" and were confiscated. For KHRG documentation, see “‘With only our voices, what can we do?’: Land confiscation and local response in southeast Myanmar,” KHRG, June 2015, as well as, “Losing Ground: Land conflicts and collective action in eastern Myanmar,” KHRG, March 2013. For summary and analysis of the legal and policy framework relating to land management in Burma/Myanmar, see: Legal Review of Recently Enacted Farmland Law and Vacant Fallow and Virgin Lands Management Law, Food Security Group - Land Core Group, November 2012. According to Displacement Solutions, “The Vacant, Fallow and Virgin Act (2012) adopted at the same time as the Farmland Law, allows leases of State land vaguely classified as ‘vacant, fallow or virgin‘ for 30 year periods. It sets an allocation limit of 5000 acres at any one time, with a total maximum amount of 50,000 acres for any single person or entity. Both nationals of Myanmar and foreign entities can lease land under this law subject to a two-step process involving approvals from the Myanmar Investment Commission and then the Land Allotment Commission. Some have claimed that 50% of the land in the country could be classified as technically ‘fallow’, which, if correct, provides an indication that large-scale displacement and land disputes may occur as the new law is implemented.” “Land Acquisition Law and Practice in Myanmar,” Displacement Solutions, May 2015. This refers to a legal document demonstrating the right of ownership over a piece of land. All conversion estimates for the kyat in this report are based on the September 19th 2017 official market rate of 1,360 kyat to US $1.